Is yoga one of the secrets to longevity? An article in The Art of Healing magazine explained the benefits of yoga from a very interesting perspective that we had not seen before. It starts by accepting the scientific perspective that our heart has a set number of beats before it will just stop working. If that is the case, slowing down our breathing oxygenates our blood, meaning that the heart has less work to do. It goes on to suggest that the yogis understood this principle and so developed more effective ways of breathing. They reduced the amount of toxins that were allowed to enter the bloodstream and practised a host of techniques, from meditation to yoga postures, practices that harmonised the peripheral nervous system and slowed the heart rate. The article goes onto discuss the three phases of purification of the blood, rebalancing of the nervous system, and rejuvenation’ of the endocrine system. Click here to read the full article on why yoga is one of the secrets to longevity. We all know from our own experiences the many benefits of practising yoga regularly. So it can as no surprise when I read this article on the health benefits of practising yoga in the Art of Healing magazine providing evidence to support this. For a great many people the benefits of yoga are obvious in light of its long history of over 5000 years. However in the Western world a higher level of proof is required in the form of randomised, controlled clinical trials before it is fully accepted within the conventional medical system. This is often referred to as the “scientism of medicine”. It largely dismisses anecdotal experience (learning from the experience of others) which is what the majority of the world uses to work out if something has value or is worth doing. 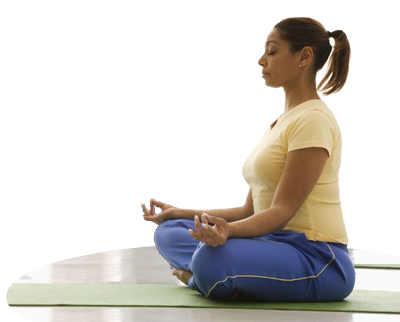 Click here to read more on the health benefits of yoga. Whether you are wanting relief for an ailment or just want to improve your health and well-being, yoga is an excellent form of exercise. We came across this article recently in the Sydney Morning Herald on the topic of “What Yoga can do for you” and thought it may be of interest. The study was led by Dr Dhanunjaya Lakkireddy, an associate professor with the University of Kansas Hospital in Kansas City, Kansas and the findings were presented to the annual meeting of the American College of Cardiology held in New Orleans in 2011. The study focused on 49 patients with the heart rhythm disorder who had no physical limitations and no prior experience with yoga. Their episodes of irregular heartbeat were measured for a six-month period by researchers at the hospital. For anyone who has practiced yoga regularly these conclusions will not be at all surprising! We recently came across an article about meditation in the Sydney Morning Herald. The article centred around a new study that found that meditation was more effective than drugs. The first ever major Yoga Therapy conference is being held in June, Australia in June 2011. This is very exciting as you get to listen to some of the best yoga therapists and researchers from Australia and overseas. The focus of the conference is to explore the specific and profound ways Yoga can assist in maintaining good physical and mental health and in recovery from illness. It will also provides evidence-based research about the therapeutic benefits of Yoga. The conference is from 11-12 June 2011 and is at the Vibe Hotel Sydney, 111 Goulburn Street, Sydney NSW 2000. It is packed full of amazing speakers and will be an event not to be missed. For more information and to register go to Australian Yoga Therapy Conference 2011.